Jennifer & Eric- zombie wedding! whoo hoo! i was so pumped to share this wedding with all of you! 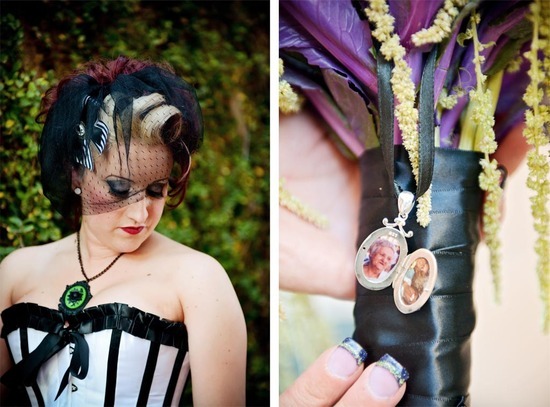 I had the opportunity again to be a second shooter for ralph of pin up bride photography. If you saw the preview, the theme was more of a zombie feel, and i have to say i thought it was so much fun! the bottom half of her dress was made from my favorite material for dresses taffeta and every detail had been thought of! even the crazy fun zombie heels. while the girls were getting ready, i spent some time shooting around monte carlo with the guys, what a fun group! i mean are you serious? the hair, the dress, the flowers, which i found out really aren't even flowers.. fabulous! it's always fun to be able to shoot a wedding completely different, and her style definitely showed through! it was a perfect day! what are some fun details you thought of for your day! ?